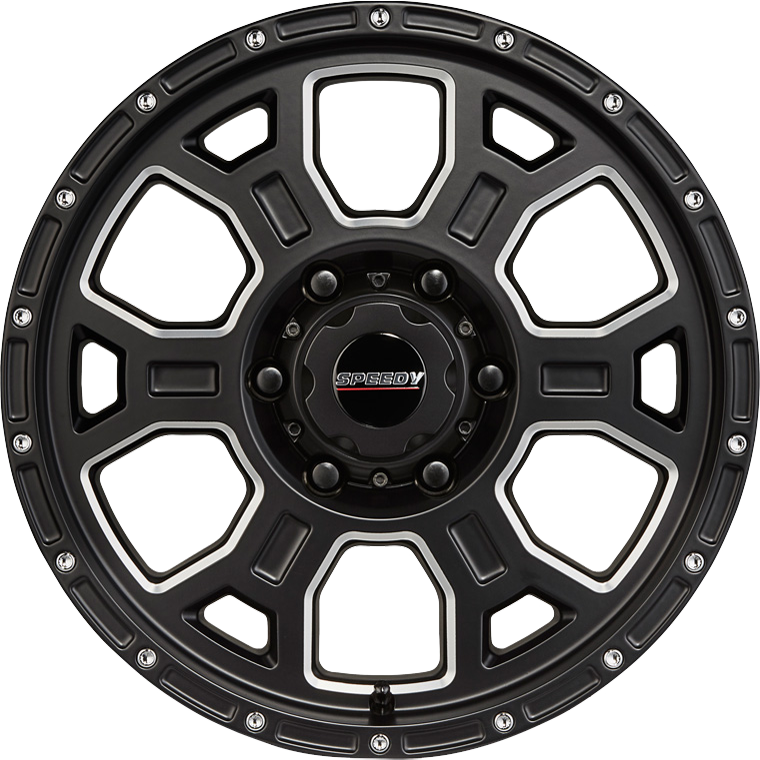 Speedy Raider is available in full Satin Black finish or Satin Black with Milled Accents. Destined to be one of our most successful designs. Speedy Raider is available in full Satin Black finish or Satin Black with Milled Accents. Destined to be one of our most successful designs, Raider is both striking in appearance and great value for money. The 17 x 8.0 sizing at ET25 offset is on target to suit four of the local market's top six selling light commercial 6 stud 4WD vehicles.